Ruben's Baseball: Albertans in the minors... and majors too! As undoubtedly most of my readers have heard by now, Jim Henderson did indeed get called up, receiving the call the evening of July 25th and has appeared in 3 games so far for the Brewers and has yet to give up a run. I don't expect him to continue to sport a 0 ERA indefinitely or even approach the success of the last pitcher from Calgary to play in the show, but he is doing his job and helping the Milwaukee bullpen. "Also at AAA is 28 year old middle infielder Skyler Stromsmoe from Bow Island. He is playing for the Giants' affiliate, the Fresno Grizzlies. He is a very versatile player, spending a lot of time at 2nd, short and 3rd as well as the outfield and has even pitched on a few occasions. He led Canada to gold in the Pan Am Games last year, and was just promoted to AAA for the first time this season." Skyler Stromsmoe continues to perform well in a versatile role for the Grizzlies. Although not an everyday starter, he has appeared in about 2/3 of their games at whatever position he is needed, and is expected to be on Canada's WBC roster. "A litte further away at AA is catcher Lars Davis from Grande Prairie. He is in the Rockies organization playing for the Tulsa Drillers"
Lars Davis continues to impress, hitting about .300 and showing some power in Tulsa. "Sheldon McDonald, a left-handed pitcher from Spruce Grove was drafted by the Cubs last year where he pitched for their rookie and low A affiliates. He has started this season with a promotion to Single A Peoria Chiefs"
Sheldon McDonald is showing that he deserved that promotion, having appeared in 23 games so far while keeping his ERA around 2. RHP Ethan Elias from Entwhistle who was drafted last year has been pitching for the Cubs Rookie League affiliate in Arizona. RHP Adam Paulencu from Sherwood Park who was drafted (again) this year, is pitching for the Rockies "A" affiliate, the Tri-City Dust Devils of the Northwest League. Edmonton's Steven Inch was promoted from the Rookie League and has been pitching for the Phillies "A" affiliate in the New York - Penn League, the Willamsport Crosscutters. Tyler Hollick, an outfielder from Calgary drafted this year, has been playing for the Giants Rookie League affiliate in the Arizona League, and has been hitting very well, currently batting .350 while slugging at .500 pace. Cory Scammell, who was drafted last year as an outfielder from Edmonton has also been playing in the Arizona League for the Mariners Rookie League affiliate. RHP Logan Seifrit from Spuce Grove has joined him on the roster of the Mariners Rookie affiliate in the Arizona League team as well. 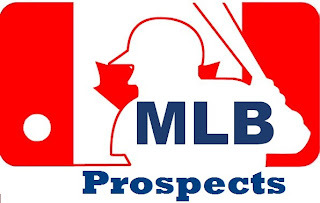 LHP Shane Dawson from Drayton Valley selected by the Blue Jays this year has been pitching for their Rookie league affiliate in the North Division of the Gulf Coast League.